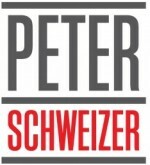 Peter Schweizer is the President of Government Accountability Institute and a best-selling author. He is a partner in theWashington, D.C. firm Oval Office Writers which provides speechwriting and communications services for corporate executives and political figures. has also served as a member of the Ultraterrorism Study Group at the U.S. government’s Sandia National Laboratory and is a former consultant to NBC News. His books have been translated into eleven languages and include several New York Times or Washington Post bestsellers. Peter is the author of the book Clinton Cash: The Untold Story of How and Why Foreign Governments and Businesses Helped Make Bill and Hillary Rich. Clinton Cash and his previous books, Extortion and Throw Them All Out, were all New York Times bestsellers. Extortion and Throw Them All Out were featured on CBS’s 60 Minutes. Other non-fiction works include Architects of Ruin (Harper, 2009) Victory (Atlantic Monthly Press, 1994) , Do As I Say (Not As I Do) (Doubleday, 2005) and Makers and Takers (Doubleday, 2008). His articles have appeared in Foreign Affairs, The New York Times, Wall Street Journal, Washington Post, Los Angeles Times, National Review, and elsewhere. He has appeared on numerous radio and television programs. Peter received his M.Phil. from Oxford University and his B.A. from George Washington University. He lives in Florida with his wife, Rhonda, and his children.